Car recycling is about more than trading in worn out tires and rusty metal. When you donate your vehicle it helps your community, your country, and people around the world. Car recycling benefits the environment, too! You can donate your recycle-ready vehicle by filling in a simple form. Then, we make arrangements for your free tow. Next we receive payment from our agent and send the gift to your charity of choice. We’ll make it easy for you to make an impact when you recycle your ride! Car Recycling helps the environment and your charity. We know that when it comes to car recycling you need your vehicle to be valued accurately. Our customer service is guaranteed to give you the assurance you need that your donation is being given personal attention when you recycle your ride. Car recycling through Donate a Car Canada means you’re making a difference where it matters most to you. Choose from one of our hundreds of receiving organizations. With no fees charged to the charities at any time you know they can put your gift to work for the cause you care about. 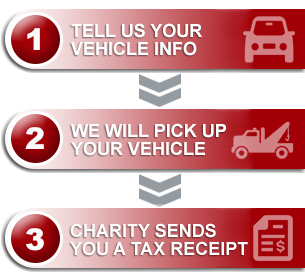 So, car recycling can mean a solution for you and a welcome gift to your charity. Ready to recycle your ride? Call or click today! We’re ready to serve you and your charity of choice.